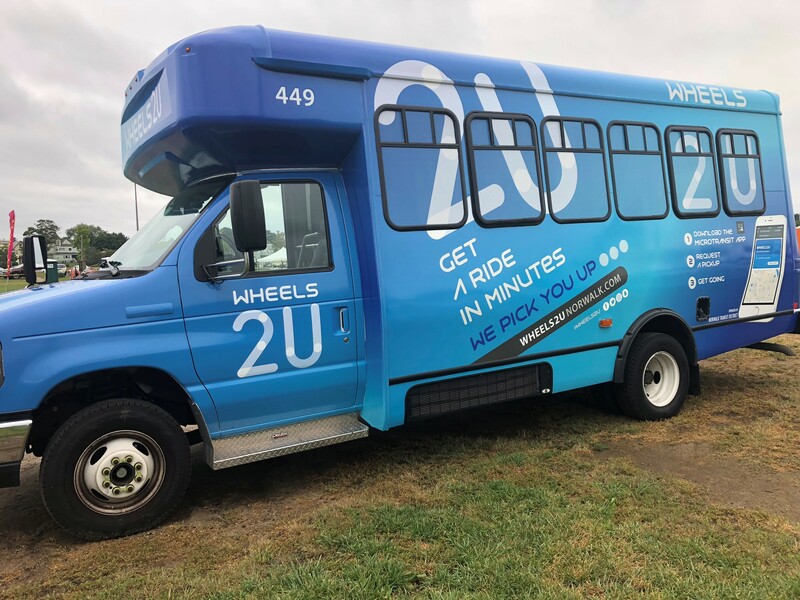 “The State of Connecticut Department of Transportation and the City of Norwalk are proud to announce the launch of Wheels2U, a new form of public transportation allowing residents to request rides and be picked up in shuttles, creating an on-demand transportation service,” a press release from Norwalk Communications Manager Joshua Morgan said. The “microtransit” system referred to locally as “Uber for public transit” begins operating Thursday, Sept. 13, on a six-month pilot program, the release said. Pick-ups are available in an area bounded by and including West and East Avenues, and from South Norwalk north to Cross Street. All you need is the smartphone app Microtransit by TransLoc to request a pick-up and drop-off location, and the bus will come to you, Thursday through Sunday, the release said. The app offers the driver navigation directions and a sophisticated algorithm to determine the optimal route to pick up and drop off riders in a timely manner. 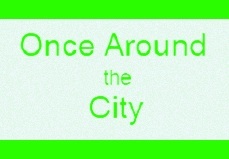 “While on the shuttle, other riders may be picked up and added to the ride. Along the ride, the app will consistently display the current location of the bus and projected time of arrival,” the release said. This style of public transportation is rapidly spreading in American cities and “Norwalk is among an elite group of transit agencies across the nation participating in microtransit pilot programs,” the release said. Wheels2U rides will be free for six months, with funding through a partnership with TransLoc and its parent company Ford Smart Mobility, The SoNo Collection mall developer Brookfield Properties (formerly GGP), the Norwalk Redevelopment Agency, the Norwalk Transit District, and Connecticut Department of Transportation (ConnDOT), the release said. For fast facts, schedule of operating times, and more information go to wheels2uNorwalk.com. A public information session is set for 5:30 p.m. Sept. 12 (today) in the Walk Bridge Welcome Center, located at 20 Marshall St, across from the Maritime Garage. Parking validation is available at the meeting. The 2018 Mayor’s Golf Tournament at Oak Hills Park is scheduled for Monday, Sept. 24. The fee is $99 per person, and includes green fees, carts, breakfast, lunch and tee gifts. Play is in a scramble format, with the top three teams receiving prizes. There are also prizes for longest drive and closest to pin. Norwalk Community Health Center, Inc. (NCHC) clinicians and staff will wear teal ribbons today, Sept. 12, in observance of National Ovarian Cancer Awareness Month, a press release said. The Center’s Women’s Health team will be providing free genetic history screening and information about ovarian cancer during the event, 10 a.m. to 3 p.m. at 120 Connecticut Ave.
“In addition to NCHC’s care team of ob/gyns, nurse practitioners, nurses and medical assistant, a genetic screening company representative will answer your questions about genetic risk factors for ovarian cancer and testing. The American Cancer Society will have information as well. Improving access to accurate information and early testing is one of the ways that NCHC, a nonprofit healthcare provider is dedicated to providing comprehensive medical and wellness care within reach of its 14,000 patients and helping its Greater Norwalk community achieve its best health. “Many people are not aware that the PAP test does not detect ovarian cancer. According to the National Ovarian Cancer Coalition, with almost 80% of women diagnosed in advanced stages of ovarian cancer, when prognosis is poor, we know that more needs to be done to spread awareness of this horrible disease that will take the lives of more than 14,000 women this year. That is why NCHC’s Women’s Health team is promoting genetic predisposition screening and understanding the importance of early detection to determine if further testing should be done. Seems like the Norwalk one will fill holes in the Wheels Bus coverage schedule. I like the intent but if Norwalk and the private sector focused on the core problems of mobility clogs, I’d imagine it is during rush hour. I noted the hours are 5pm – midnight Th,Fri,Sat and 12-9pm Sunday which seems pretty low demand but I get that they are repurposing dormant vehicles. I think they should pilot 1 day that it operates 6AM – 9AM with heavy focus on commuters trying to simply get to the Sono station or E.Norwalk station. A buddy says from Sono to Grand Central is not the issue, the real issue is getting from Cranbury to Sono Station. I say pick a fixed route from Cranbury to sono to pick up those along the way. Also, demo the same pilot in the Rt. 7 corridor, say between Rt. 33 down to Merritt 7 – doing so creates a handy shuttle that opens up options to take the train to various points on the Danbury line. Also, where can we find the true costs of this program? I see “funding”….”partnership”…80/20% but no real numbers on costs and operating budgets. Is this creating jobs – if so, how many. Lastly, NON does a much better job recapping and reporting on this than the Hour did…I got almost nothing out of the Hour article. Thanks Nancy! Now the City is getting involved with on-demand transportation. Really! They want to go head to head with UBER and LYFT! That is like the Post Office trying to compete with FED-EX and UPS. Can anyone tell me why this makes economic and/or fiscal sense? I’m open to being persuaded. Is there a financial plan that can be shared with us “little” people, you know the taxpayers.